I am always looking for a reason to throw a party, especially with my other like-minded mommy friends! You know the kind where you drink fancy adult beverages and toast the days events…… okay time to wake up mom- those were the days before the kids entered the picture. Nowadays I usually have my kids in tow (I know ya feel me) so having a party without them is hard to do so what DO you do as a mommy who likes a good party? Answer- you party like a Mommy and have a Beech-Nut® Naturals™ Mommy party and bring the kids along for the fun! I’m glad you asked! I am sure you have seen the Beech-Nut® Naturals™ “honeypot” shaped jar with a green lid on the shelves of your local retailer! Within that cute little jar contains their line of simple baby food purées made with real fruits, veges and ingredients you can pronounce! 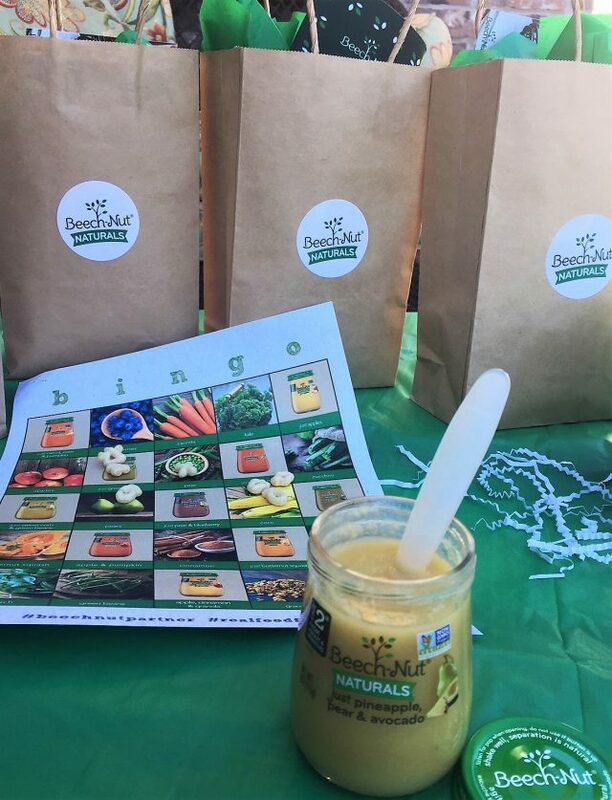 Being a small company in upstate New York with just 300 employees, they are passionate about making real food inspired by homemade for your baby! 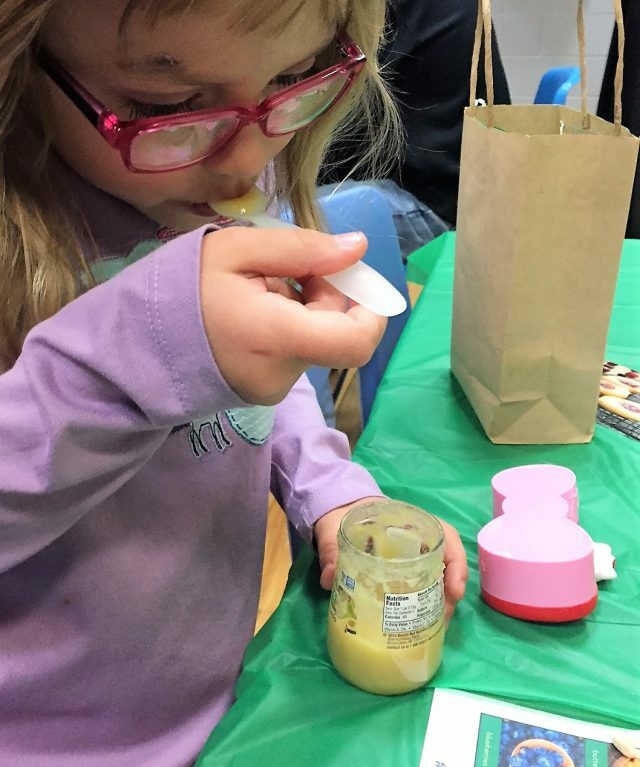 Beech-Nut’s tagline: Beech-Nut® Naturals™ real food for babies™ doesn’t just come out of no where but was created with input from real moms and dads who were looking for natural ingredients and nothing artificial to feed to their precious little ones. 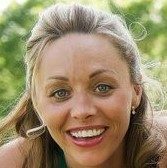 There are many different ways you can still party like a mommy with your kids by incorporating unique and fun themes when you host a party or get-together. 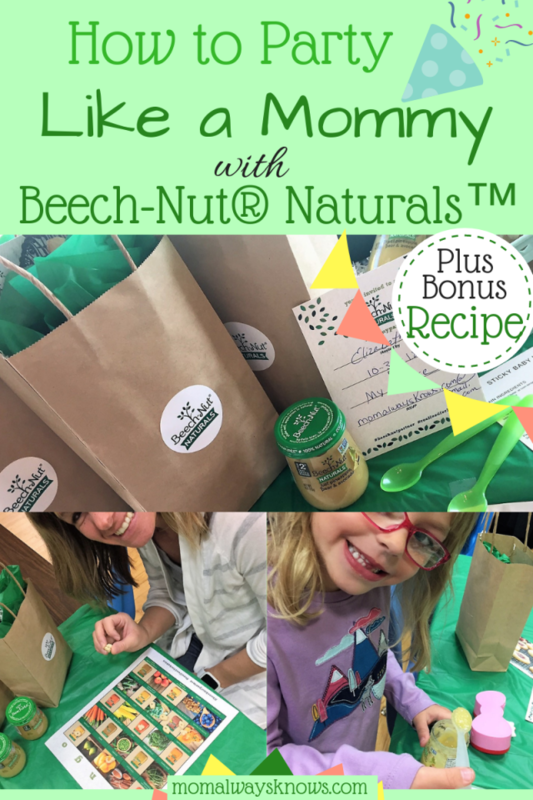 An unique theme to try if you have young kids is a Beech-Nut® Naturals™ Mommy party! It’s very simple to do and kids are part of fun! 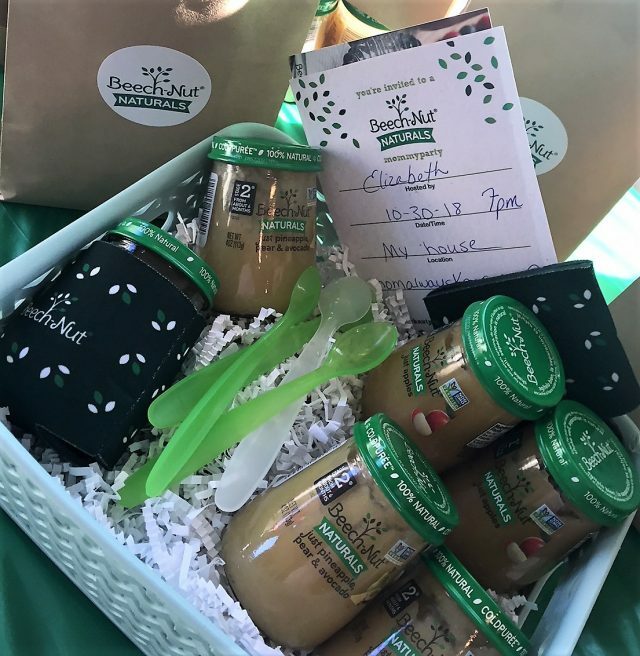 Just invite over your mommy tribe or pick a place to meet, do a bit of decorating, plan some fun games and delicious appetizers, stuff a few goodie bags with some delicious flavors of Beech-Nut® Naturals™ for moms to take home and do your party thing! This type of party will be a hit because every mommy is concerned about what they feed their baby so there will be plenty of talking (and tasting) at your party! 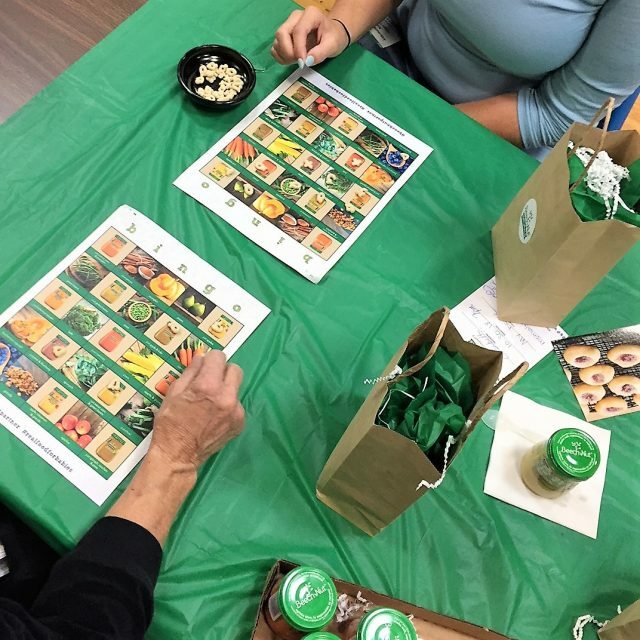 You will have the most fun with your mom friends sampling different kinds of Beech-Nut® Naturals™ and playing games like Beech-Nut® Bingo, so easy the kids can play too. 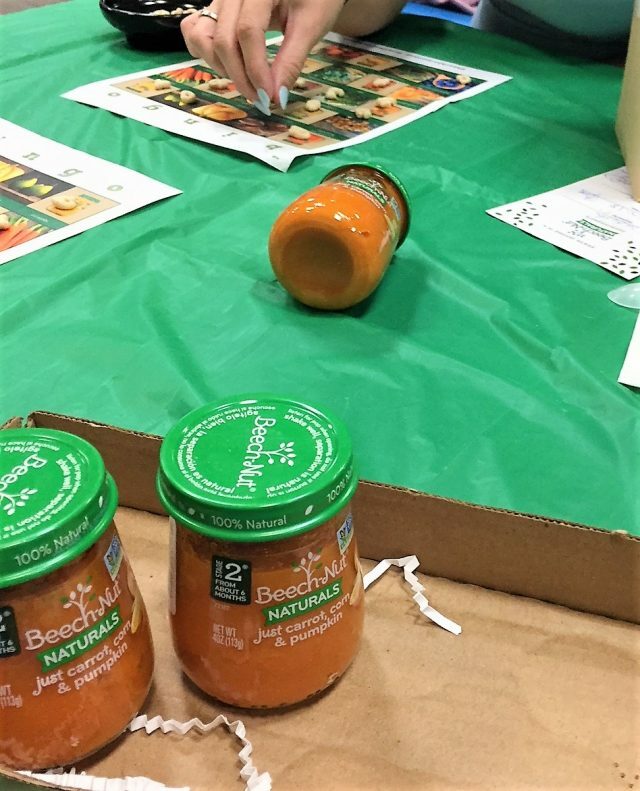 Make sure you let every mom know that Beech-Nut® Naturals™ are inspired by homemade, come in organic flavors too and are made with real fruits and vegetables just like you would use at home. Above all, have fun and party like the mommy you are! 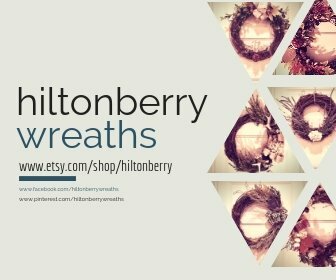 Like Blackberries and Cream Cheese? I do! Check out this delicious appetizer recipe to serve to your guests during your Beech-Nut® Naturals™ party and don’t forget to mention to your guests that their website has lots of other yummy recipes too! In a small bowl, mix together the whipped cream cheese, lemon zest and lemon juice until well incorporated. Gently chop 10 of the blackberries into small pieces. I chopped mine into 6 pieces each. For baby bites, take a cracker and spread with roughly 2 teaspoons of cheese spread, leaving the sides of the cheese towards the outside of the cracker slightly higher than the middle. This will ensure that the purée will stay in place. Dollop roughly 1 teaspoon of Beech-Nut® Just Apple & Blackberry purée into the center of the cheese spread. Top with 1 chopped blackberry. For mom bites, take a cracker and spread with roughly 2 teaspoons of cheese spread, leaving the sides of the cheese towards the outside of the cracker slightly higher than the middle. This will ensure that the purée will stay in place. Dollop roughly 1 teaspoon of Beech-Nut® Just Apple & Blackberry puree into the center of the cheese spread. Top with 1 full blackberry and sprinkle with a pinch of lemon zest. Place both bites on a serving platter and serve. Note on crackers – For this recipe, you can use any crackers you like best. This is a super cute idea and a great way to develop some mom friends with babies!